Remember last year's IPv6 day ? No? Last year's test day was designed to see how well and effective the new technology works when it is enabled on core Internet sites and services. Back then major Internet service providers, websites and companies enabled IPv6 on their servers for a one day trial of the new technology. If you do not know anything about IPv6, I suggest you read our IPv6 introductory post that explains the basics. Only that much: The current system, IPv4, has reached its limits IP address wise. This basically means that there are not enough IP addresses available anymore for the continued growth of the Internet and its infrastructure. IPv6 changes that by making available a much larger address pool. This new address pool and technology comes at a cost though. Computer systems and devices in the world need to be compatible with IPv6 so that they can stay connected to the Internet. There will be a transition period where both protocols run side by side. Eventually though, IPv6 will take over. 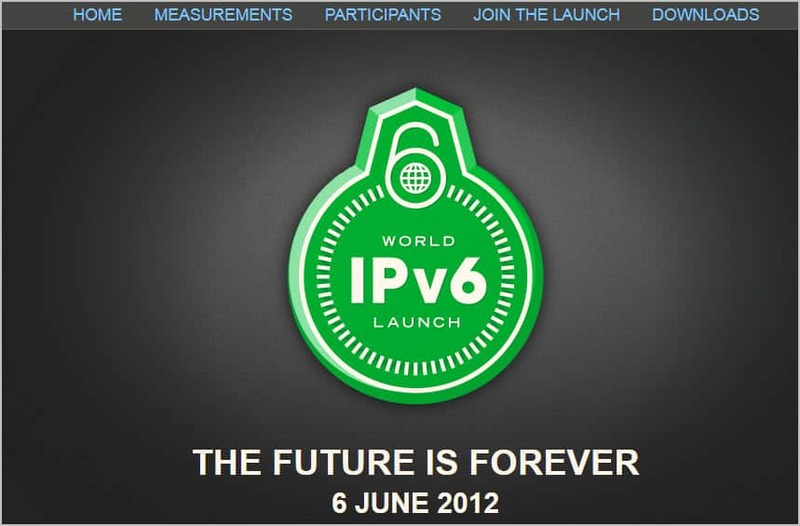 The Internet Society has now announced that June 6, 2012 is the official World IPv6 launch day. Participants include website operators like Facebook, Google, microsoft and Yahoo, network operators like ATT, Comcast, Time Warner Cable or XS4ALL, and home router manufacturers D-Link and Cisco. Participating ISPs will enable IPv6 by default for new subscribers. They have furthermore agreed that at least 1% of their subscribers on their "networks will be using IPv6 when they visit websites that have enabled IPv6". Participating companies and websites will enable IPv6 on their servers so that users can use the protocol to connect to these sites. IPv4 support won't be discontinued right away though, which means that you can still access those sites even if your systems or Internet Service Providers do not support IPv6 yet. This day marks the beginning of the end of the IPv4 protocol. The basic idea behind the launch day is to push companies, ISPs and device manufacturers into going forward with the implementation of IPv6. Do you know if your provider, favorite websites and hardware is already supporting IPv6? Lets discuss in the comments. If SOPA passes, there won’t be a need for IPv6. Maybe this is the Mayan 2012 Apocalypse the twits are all atwitching over. But on a more serious note: I just found out that IPv6 automatically appends your unique MAC address to the end of the IP address. Even more detailed tracking of the unsuspecting public. I don’t see router manufacturers updating firmware for hundreds of million routers to support iPV6. Will IPV6 be able to access all the sites that are under IPV4? You need to run dual stack for this, which picks the most appropriate connection option automatically. You could also try some transitioning technologies for this.